The conference will be opened on 1st July by Cyrus Todiwala OBE, chef proprietor of Café Spice Namasté. Cyrus reigned at the Taj Hotels Resorts and Palaces chain in India, and rose to become executive chef for eleven restaurants within those hotels. In 2000, Cyrus was awarded an MBE for services to the restaurant and catering industry and was subsequently awarded an OBE in the 2010 New Year`s Honours List. Midsummer House boasts 2 Michelin Stars and last year the restaurant was given the accolade of being the best in the UK for fine dining in a poll based on millions of reviews and opinions left on the Trip Advisor travel site. The restaurant also came second place in the world rankings, behind Spain`s El Celler de Can Roca in Girona. Daniel was a winner on the BBC`s Great British Menu in 2012 & 2013, and also joining the line up for the first time at Conference is Colin McGurran from Winteringham Fields, another two times winner of GB menu. 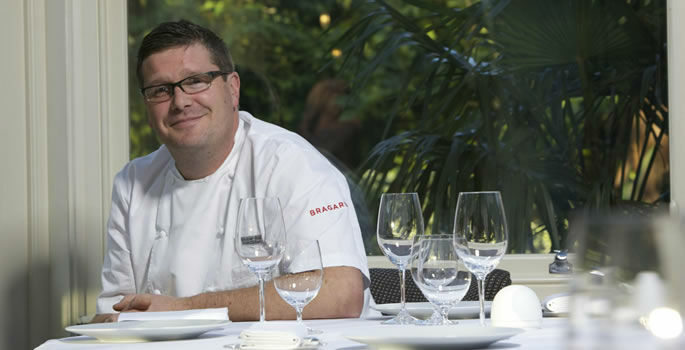 Colin first caught the eye of the BBC in 2012 when he was first invited to be on the Great British Menu, an honour bestowed on him again in the following two series. After beating out the regional competition to be in the finals on each of his three years featured, he secured dishes at the final banquet in both 2012 and 2014 with his Quail in the Woods starter and Homage to the Dickin Medal Dessert (2012 & 2014 respectively). More chefs will be added to the line up in the coming weeks.